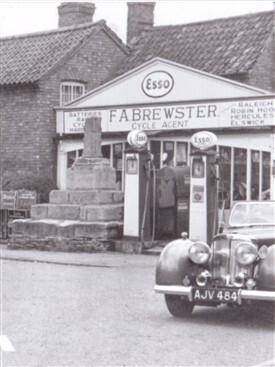 Situated on Main Street, Brewster's garage occupied a very cramped position in the very heart of the village; the petrol pumps were sited hard up against the base and plinth of Collingham's historic cross. Is the building now known as Brewster's Cottage? This page was added by Website Administrator on 04/01/2018. Hi, No, this building is not Brewster's Cottage; it is called Michaelmas Cottage. The garage was demolished and a new cottage (Michaelmas) built in 2003. Brewster's Cottage is 45 High Street.